In an effort to unite and reward the global crypto-community for its important role in the growth of cryptocurrencies in recent years, FortuneJack are giving away one bitcoin a month! All you need to do is create a buzz around cryptocurrencies, whether on or offline. To stand a chance of taking home a prize each month, each participant can share a brief explanation of their project in the related Discord thread on the FortuneJack channel – share the link or full post and don’t forget to include the hashtag #JACKMATE. When it comes to what to do to gain the attention of the community, the options are endless! 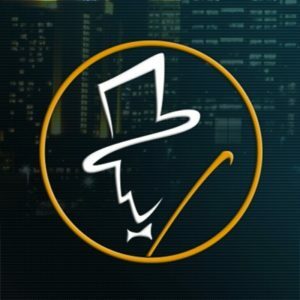 The unique influencer with the standout initiative will be chosen by the FortuneJack team and the winner’s name will be announced on the FortuneJack blog, Facebook and Twitter pages, as well on the Discord channel. On 31 March, FortuneJack’s panel of judges will choose one lucky crypto-community member and reward them with one whole bitcoin based on the activity, creativity, and reach of their crypto-project, whether on or offline. At the time of publishing, one bitcoin is valued at $10,813.50 – a good amount to put directly into your pocket! One Bitcoin could also get you 12.32 Ethereum or 11, 527.36 Ripple coins! Keep an eye out for the announcement after 31 March to find out the first lucky winner of ONE WHOLE BITCOIN! If you don’t win this month, don’t be discouraged – FortuneJack will be giving away one bitcoin each month up until August.